COME SEE US AT THE GIRL GANG XMAS MARKET IN SHEFFIELD THIS WEEKEND! 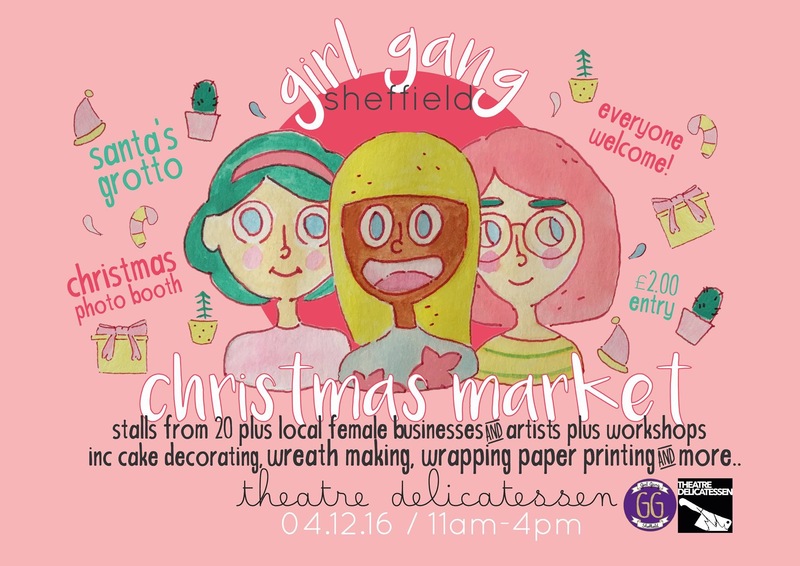 We are OH SO EXCITED to be involved in this years Girl Gang Christmas Market in Sheffield on Sunday 4th December! Come and visit Kirsty and I at our mini stall between 11am-4pm on Sunday AT The theatre Delicatessen on the Moor, we will be selling our mugs, pins and pocket mirrors as well as spreading the word about female skateboarding, hopefully getting a few new recruits! We will also be a hosting a raffle to win a selection of bits from our new range so pop along for a chance to win. Other activities including wreath making workshops, laser cut jewellery and present wrapping tutorials and loads of amazing products to browse from over 20 local female businesses. We can’t wait for the first of our festive events this December, hope to see you there to support your local girl gang! ← JOSIE MILLARD FOR WELCOME SKATEBOARDS!